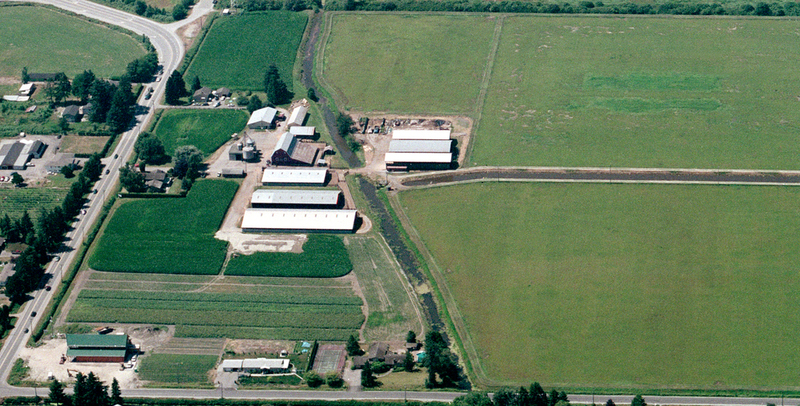 Beefway Meats was established in 1967. The original location for Beefway was on Kingsway before it moved to Main and 50th in 1978. Beefway remained on Main and 50th until 1984 when Beefway again moved to the location it is at now. Beefway has always taken pride in being a "Traditional Butcher Shop" where whole carcasses are brought in and broken down the traditional way. This way of breaking down beef and pork is a dying art as all chain stores are now buying boxed products directly from the packing plant. Beefway still takes pride in cutting in-house where we can keep a close eye on the quality of all our products. Dry-aged Beef is beef that has been hung in a temperature controlled environment for a few weeks. While the beef is hanging, enzymes in the beef begin to break down the muscle fibres which improves flavour and texture. Dry-aged steaks are much more tender and flavourful than steaks that are wet-aged. We hand select only the best Ribs and Shell Loins to dry age from our Hormone Free beef in order to provide our customers with highest quality steaks. The industry standard for dry-aging is 28 days. However, we age our beef for a minimum of 35-45 days which yields an even more flavour and tender steak. All of our dry-aged steaks are custom cut for our customers. Be sure to ask for a dry-aged Ribeye or NY steak for your next BBQ. We pride ourselves on being able to supply our customers with the highest quality meat products. We are proud to provide our customers with Hormone Free BC beef and AAA beef from Alberta. Our BC beef is raised without the use of antibiotics and growth hormones. The beef is fed a diet that consists of both grass and grain which gives it the perfect balance of flavour and tenderness. Our pork is also raised in the Fraser Valley without the use of antibiotics and hormones and is broken down in house for the highest quality products. We are also proud to supply our customers with both Grade A and Free Run chickens from the Fraser Valley as well as lamb and grass-fed beef from Australia. Beefway Meats is both a Retail and Wholesale meat purveyor. We proudly serve many fine establishments throughout Vancouver.